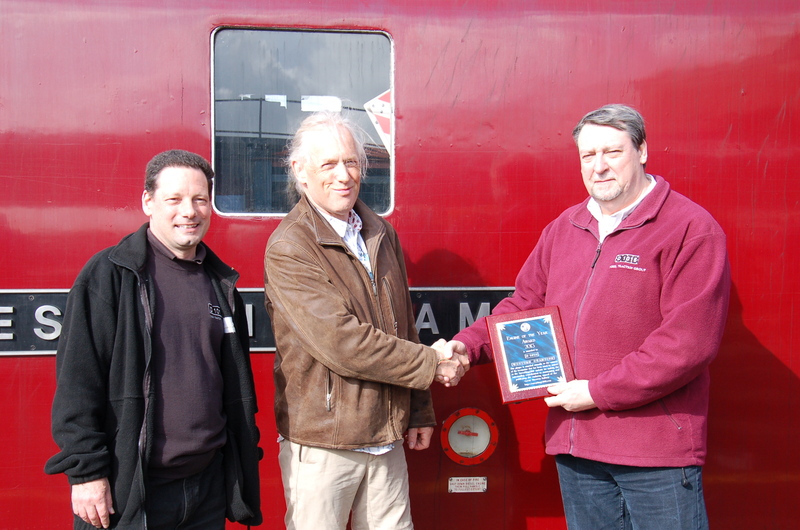 Last year, the award was won, unexpectedly, by D1015 Western Champion and Corris Railway No 3, Sir Haydn so who will it be this year (you can’t win it twice running!)? As usual, we are in your hands as to which GWR/WR engines were the star performers in 2014 so please start nominating now. All engines that attract 2 or more nominations will be entered into the poll and then you can vote for your choice. This year we saw a lot of 5029 Nunney Castle on the mainline and the classic Castle put up some great performances everywhere it went. Nunney’s Tyseley partner 5043 again impressed with astonishing performances that belie its smaller size relative to the likes of Tornado and Bittern. Perhaps it is so dependable that we take it for granted…? On our Heritage railways, 5542 continued to travel around making friends wherever it went while 5541 was restored to traffic to a very high standard by the Dean Forest. 7820 returned to in BR black and has been popular on goods train charters of that era while, also at Toddington, Jeremy’s Hosking’s 2-8-0T No 4270 steamed after 10 years heroic work to bring it back from a very derelict Barry condition. Several engines are still waiting in the wings and have been a bit below the radar. 4936 Kinlet Hall has had almost no mainline work but was popular at galas; 6023 is still to make it out onto the mainline although it should do so in 2015; a variety of panniers have been out and about, including 1638, 6435 and 1501. So, over to you. If you are nominating, please provide sound reasons for your choice as the inclusion of every engine is at the discretion of the editor!! I’d like to nominate Andrew Barclay 1219 as the young owner Ryan Pope and his equally young work gang deserve all the support and encouragement they can get. They are the future of steam preservation in the U.K. and are making a supberb job of this loco’s restoration. That’s an interesting nomination, John. Not a GWR engine of course but perhaps there needs to be another award for preservationists of the future this year? I would like to nominate 5029 Nunney Castle. The locomotive has excelled itself everywhere its been this year and is running I think better than it has for some time. 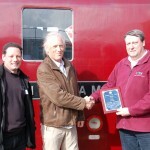 A GWR stalwart and well worthy of a nomination. Good nomination, Shirley. I feel that Nunney has had a really good season. I would like to nominate GWR 2-8-0T 4270 because the result of the massive overhaul are just superb. The loco looks magnificent and it is fantastic to see a Churchward loco in completely original condition (inside steam pipes, no shutters, no lamp iron defender, small windows open in cab, etc.) and the commitment to this aim with the future casting of tapered buffers and an original livery shows an unparalleled attention to detail. The hard work of all involved on this year’s first Barry returnee deserves to be accoladed and the loco not only looks and sounds superb but has also proven very reliable and mechanically spot on after a Barry overhaul – something which not that common these days as locos are often overhauled and then out for adjustments and attention a lot in their first months/year. Long may her successful running and popular touring continue. Yes, I agree with all that, Matthew. Great engine. 1638 – returning to BR Black for the first time since preservation for her. High profile visits to SVR / Llan, interest did wane upon her return to KESR but she was appreciated at the places she visited. I would also like to nominate GWR Steam Railmotor No. 93. It has been a stalwart of the Didcot fleet this year, especially as DRC doesn’t have very many operational steam locos at this current point in time (what with 5322 being temporarily out of traffic because of boiler problems). No. 93 also made history when it operated shuttles on the Brentford branch in October.